Ezetimibe reduces plasma low-density lipoprotein cholesterol (LDL-C) levels by up to 20%. However, its effect on plasma lipoprotein(a) [Lp(a)] concentrations in patients with primary hypercholesterolemia has not been defined. Therefore, we performed a systematic review and meta-analysis to assess this effect based on the available randomized controlled trials (RCTs). 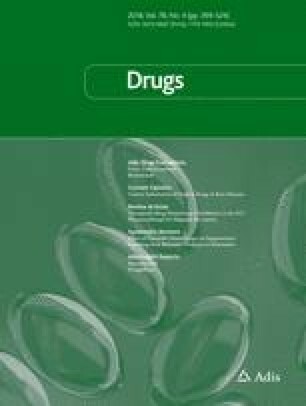 We searched the PubMed and SCOPUS databases from inception until 28 February 2017 to identify RCTs that investigated the effect of ezetimibe monotherapy on plasma Lp(a) concentrations in patients with primary hypercholesterolemia. We pooled mean percentage changes in plasma Lp(a) concentrations as a mean difference (MD) with a 95% confidence interval (CI). Seven RCTs with 2337 patients met the selection criteria and were included in the analysis. Overall pooled analysis suggested that ezetimibe 10 mg significantly reduced plasma Lp(a) concentrations in patients with primary hypercholesterolemia by − 7.06% (95% CI − 11.95 to − 2.18; p = 0.005) compared with placebo. No significant heterogeneity was observed (χ2 = 5.34; p = 0.5). Excluding one study from the analysis resulted in insignificant differences between the two groups (p = 0.2). Meta-regression did not find a significant association between the mean percentage changes in Lp(a) and other potential moderator variables, which included the mean percentage changes of LDL-C concentrations (p = 0.06) and baseline Lp(a) mean values (p = 0.46). Ezetimibe monotherapy (10 mg/day) showed a small (7.06%) but statistically significant reduction in the plasma levels of Lp(a) in patients with primary hypercholesterolemia. According to current literature, this magnitude of reduction seems to have no clinical relevance. However, further studies are warranted to clarify the mechanism mediating this effect of ezetimibe and to investigate its efficacy in combination with other drugs that have shown promise in lowering Lp(a) levels. The online version of this article ( https://doi.org/10.1007/s40265-018-0870-1) contains supplementary material, which is available to authorized users. KA contributed to the literature search, screening, data extraction, data analysis, and manuscript writing; DPM to the manuscript writing and revision; NK to the screening, data extraction, and manuscript writing; PM to the manuscript writing and revision; and MB to the study design, supervision, coordination and manuscript writing, and revision. All authors approved the final article. No external funding was used in the conduct of this work. DPM has given talks and attended conferences sponsored by MSD, AstraZeneca, and Libytec. NK has given talks, attended conferences, and participated in trials sponsored by Amgen, Angelini, Astra Zeneca, Boehringer Ingelheim, MSD, Novartis, NovoNordisk, Sanofi, and WinMedica. PM has received grant support and honoraria from Amgen. MB has received advisory board fees from Abbott Vascular, Amgen, Daichi Sankyo, Esperion, Lilly, MSD, Resverlogix, and Sanofi-Aventis; speakers bureau fees from Abbott/Mylan, Abbott Vascular, Actavis, Akcea, Amgen, Biofarm, KRKA, MSD, Sanofi-Aventis, and Valeant; and grants from Valeant and Sanofi-Aventis. KA has no conflicts of interest that are directly relevant to the content of this review. Higgins J, Green S. Cochrane handbook for systematic reviews of interventions. 2011. https://www.google.com/books?hl=en&lr=&id=NKMg9sMM6GUC&oi=fnd&pg=PT13&dq=Cochrane+Handbook+for+Systematic+Reviews+of+Interventions&ots=LH_DUZIDB-&sig=ua2m0uDvgBT23R-Brd0IVYbaY-4. Accessed 20 Nov 2017. Barendregt J, Doi S. MetaXL User Guide. http://www.epigear.com/index_files/MetaXL. Accessed 20 Nov 2017. User Guide.pdf. Zetia approval letter. https://www.accessdata.fda.gov/drugsatfda_docs/nda/2002/21445_Zetia_Approv.pdf. Accessed 20 Nov 2017.